Written by Colleen Sedgwick on September 13, 2014 . Posted in Clients. Don’t fret, pet sitters! 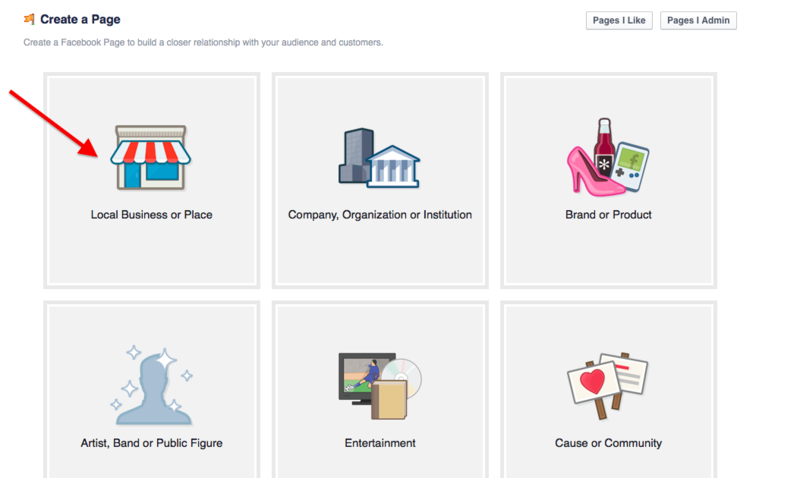 Here are 8 simple steps to set up your Facebook page. If you don’t already have a Facebook account. You can sign up for one here. #3. Choose Local Business or Place. Be sure to choose the name of your business page wisely. 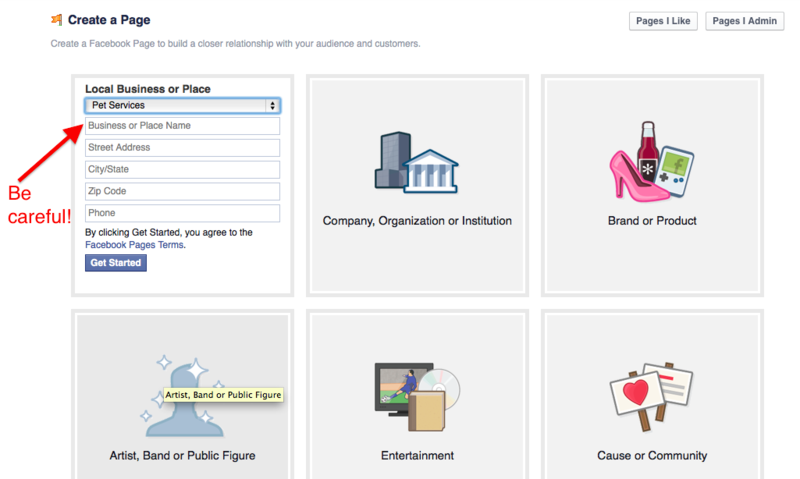 Currently, you are able to change the name of your business only once, but Facebook changes their rules all of the time, so don’t count on that always being the case. 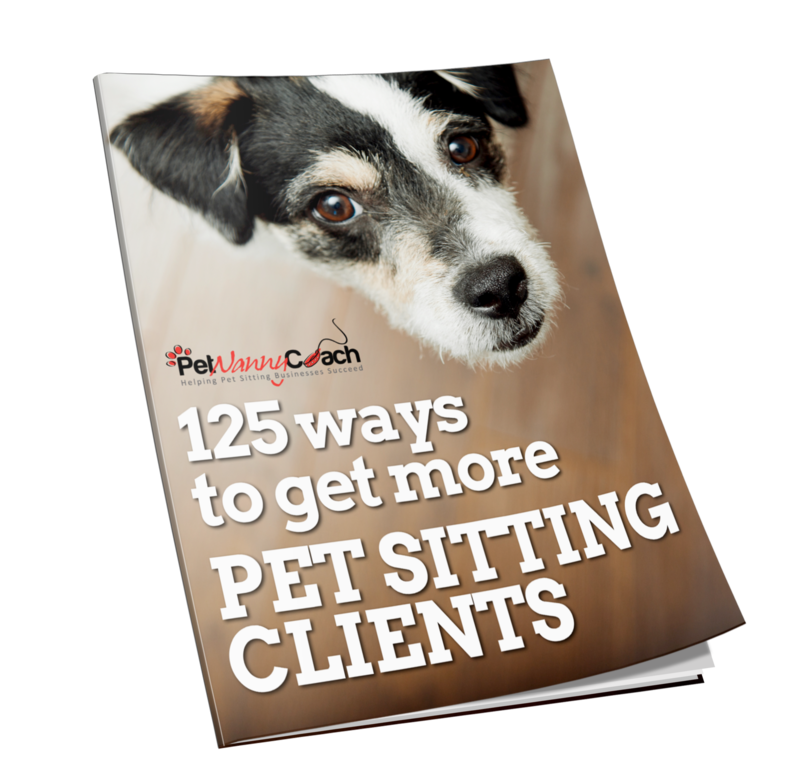 This is where you want to write a description about your pet sitting business and link to your company’s web site. This small blurb will serve as the main 2-3 sentence description of your business. It will be on your main page, so make it as descriptive as possible. The optimal size of your profile pic is 180 x 180. You can create your profile picture for free using, www.canva.com or www.picmonkey.com. You can change this image at anytime. Ideally, you will want to use your company logo. Doing this will help you find your page more easily. In the future, you can run Facebook Ads to build your fan base, but you want to create content for your page first, so you are not driving traffic to an empty page. And that’s all folks! 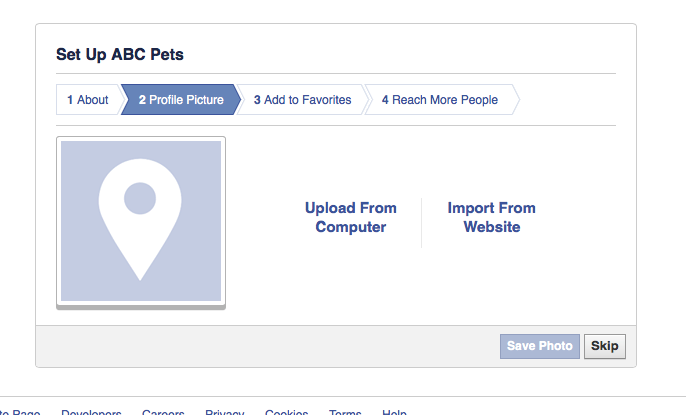 You now easily set up a Facebook page. 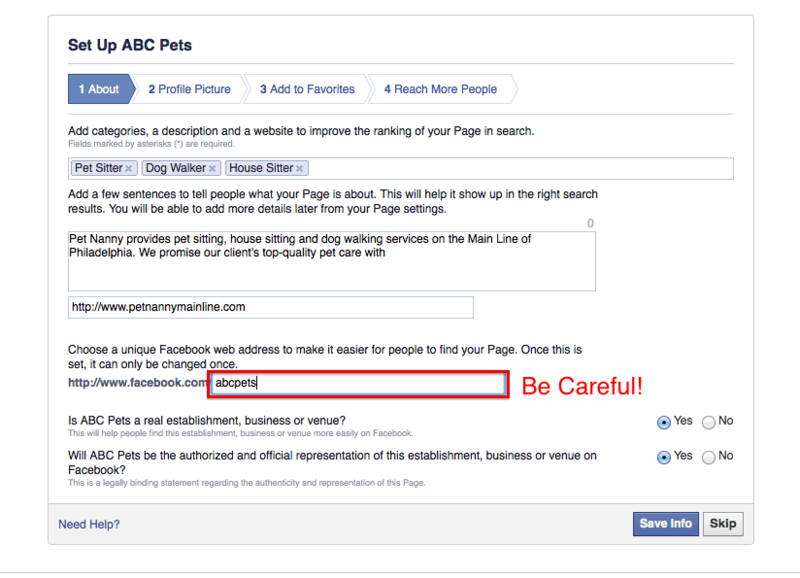 I will soon be writing about how to optimize your page. Stay tuned. Your Homework Assignment: Follow the simple 8 steps listed above to create your very own Facebook business page and start posting! 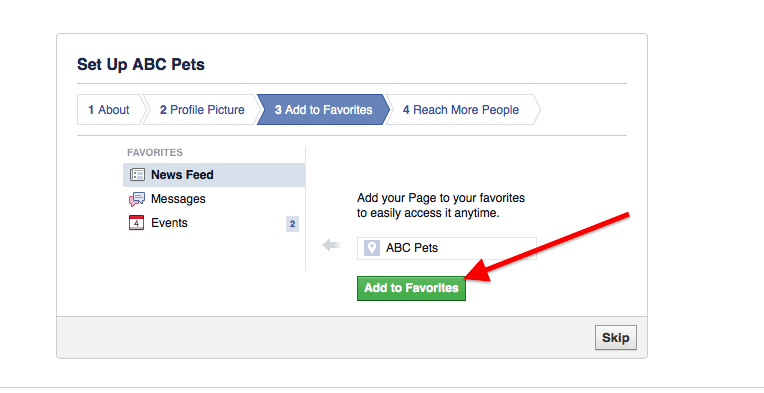 You can post announcements about your business, pet related tips and news stories, funny videos etc. 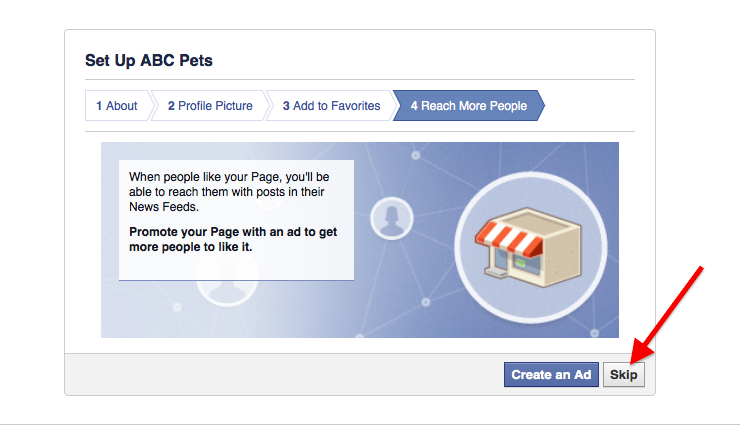 Think about your audience and what they would want to see in their Newsfeed.